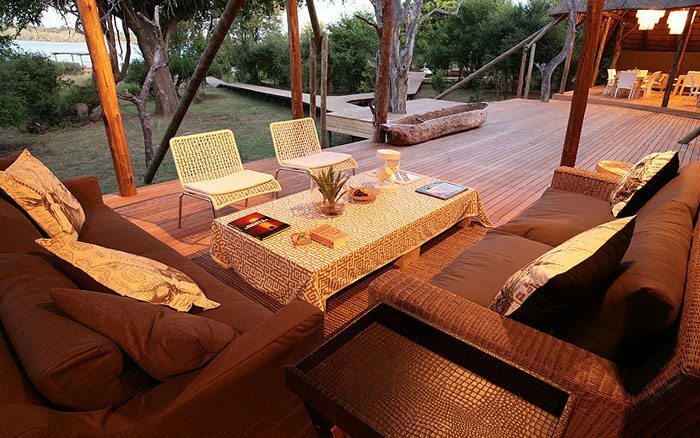 This luxury tented lodge overlooks the Zambezi River and is the first private lodge within Zambezi National Park. 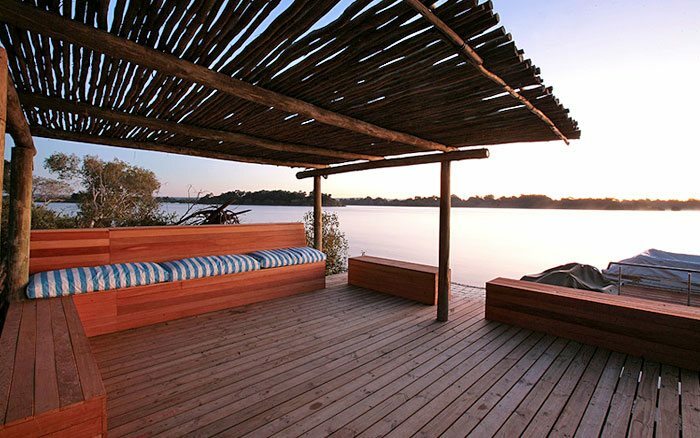 This luxury tented lodge overlooks the Zambezi River and is the first private lodge within Zambezi National Park. 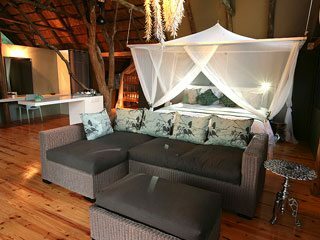 Tents are refined in décor, with warm earthy tones, polished wooden floor and a comfy sitting area off the bedroom. 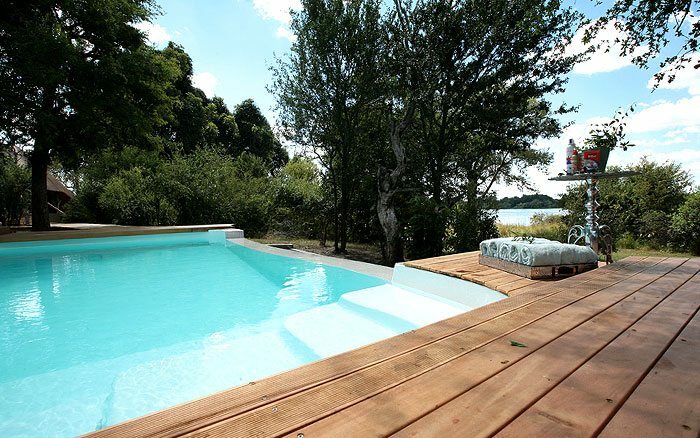 The secluded deck faces the river, a great place to sit and watch birds and animals in the garden. Family rooms have a second bedroom with a single beds and bunk beds for up to 3 children. All tents are air-conditioned, have ceiling fans and are supplied with mosquito nets. Facilities include minibars, tea and coffee makers, safe and power points for battery charging. 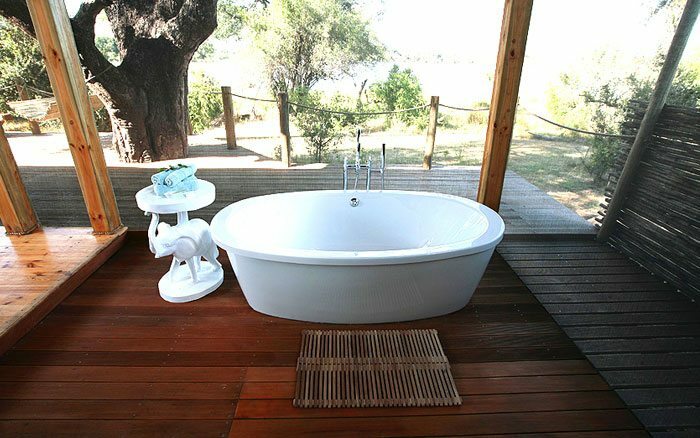 Bathrooms are equally well-equipped with a bathtub and shower, twin hand basins and a toilet as well as an indulgent outdoor shower. 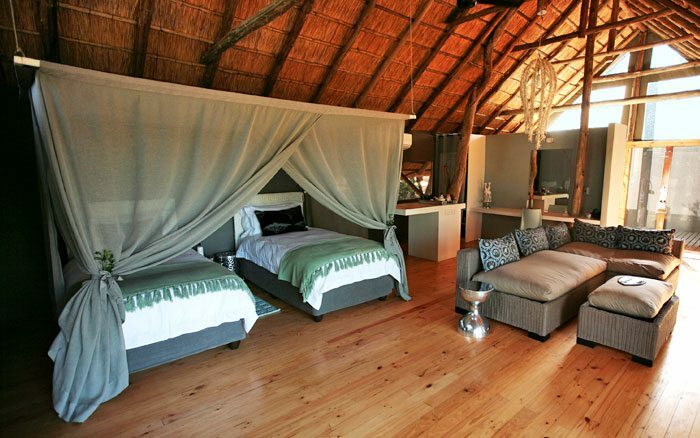 You’ll have the best of both worlds here, with the national park and Victoria Falls on your doorstep. 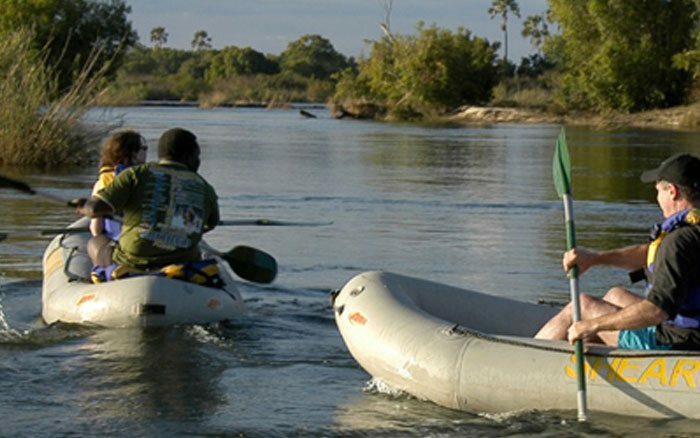 The lodge offers two safari activities a day free, allowing you to choose between morning and afternoon game drives and sunrise and sunset cruises on the Zambezi River. There are also free return transfers to Victoria Falls each day, allowing you to take advantage of all the many activities available there. Lodge staff are happy to book various activities and excursions for you. When you need some time to yourself you can unwind in the lounge, take a stroll in the gardens, laze on a lounger in the sun and enjoy a reviving swim in the outdoor infinity pool. High tea is served each afternoon and is always popular, with freshly baked cookies and cakes. All mealtimes are highlights, from the generous breakfast to dinner under the stars, as the chef and kitchen team treat you to their gastronomic creations. Children of all ages are welcome. There are 3 family suites accommodating up to 2 adults and 3 children. Baby sitting can be arranged. 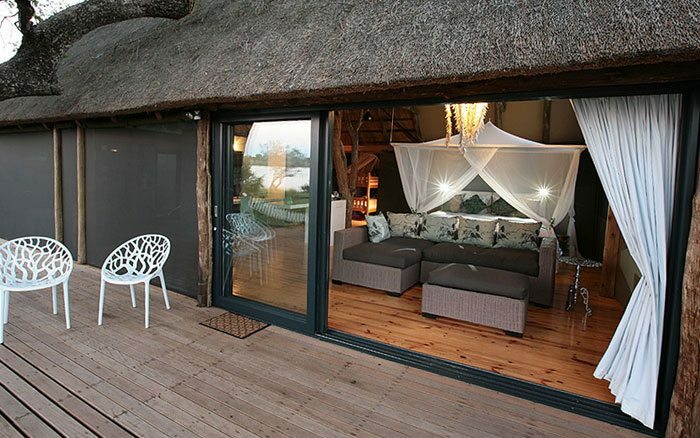 Tents are large and luxurious with high ceilings and sophisticated, soothing colour schemes. Air conditioning and ceiling fans keep interiors invitingly cool. The private deck overlooks the gardens and river.